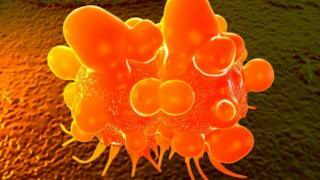 Bowel cancer screening in England is to start earlier, at age 50, Public Health England has announced. It said evidence showed that screening people at a younger age would allow more bowel cancers to be picked up at an earlier stage. Currently, men and women in England are first invited for screening at the age of 60 and sent a home testing kit. The change brings England in line with Scotland where bowel screening is automatically offered from 50. An independent committee of screening experts recently recommended that bowel cancer screening in England should begin 10 years earlier than it does now. The Health Secretary Matt Hancock has now agreed to the change, and NHS England and Public Health England are deciding how the plan will be rolled out. A new, improved test, called a faecal immunochemical home test kit or FIT, is being rolled out to everyone age 60 and over in the autumn. In the future, the plan is to send this more accurate test to everyone in England from the age of 50. At present in England, men and women are first invited for bowel cancer screening at 60 and sent a home test kit every two years up to the age of 74. Using the kit, you collect small samples of your poo and post them to a lab which then checks them for tiny amounts of blood, which could be caused by cancer. In some areas – around half the country – a one-off bowel scope test is also offered at the age of 55. This involves a thin, flexible tube with a camera being inserted into the bowel to look for polyps which can turn cancerous. Only those who have an abnormal result after screening will be offered a colonoscopy. Prof Anne Mackie, director of screening at Public Health England, said: “The risk of bowel cancer rises steeply from around age 50-54 and rates are significantly higher among males than females. She added that the change would take time to implement. Steve Brine, public health minister, said: “With the roll out of FIT as a new bowel screening test from the autumn – a much more convenient and reliable test – we have a real opportunity to reshape our bowel screening programme and potentially detect the stages of bowel cancer much earlier. Cancer Research UK said it was delighted by the government’s decision to lower the age bowel screening starts. But she said the biggest challenge was to find enough staff to carry out diagnostic tests, such as colonoscopies, which more people will need when screening is extended.